Over the past couple of days (or nap times, rather) I've worked on an iPhone case design for Jared's spiffy new phone (which he really digs even with that one issue - dang it, 'nother dropped call). 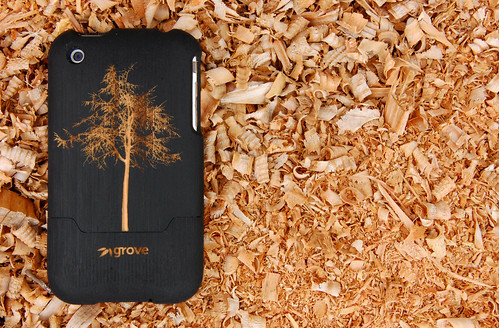 He found a company named Grove Made through one of his favorite online haunts (gizmodo). 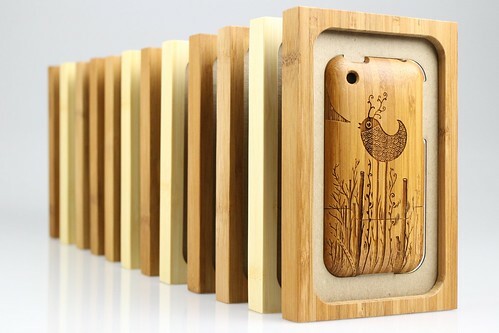 They take solid blocks of bamboo and shape them into cases, then laser engrave artwork onto the backs. They have really fantastic selections of current amazing artists' works but you can also upload whatever design you want using their template. Jared hemmed and hawed plenty about the design - to the point where I was a little exasperated, I admit it. Most of my work just isn't his style. He loves my work, thinks it's fabulous, is totally supportive, but is not so into the idea of sporting illustrated owls or sketched California wildflowers you know? He finally found some more "manly" or maybe "geeky" ;o) ideas in the gears and mechanics of clockwork. In fact, he said it may be a hobby he'd be interested in at some point. This made me laugh - I can only imagine little old men bent over old garage work tables building the innards of clocks. But Jared is a mechanical kind of guy and loves to figure out how things work so maybe it's not so surprising. I still think he'd rather play frisbee golf. Hope you're all staying cool...I'm writing this from our deck outside, under an umbrella, in 87 degrees which feels marvelous. No complaints here.